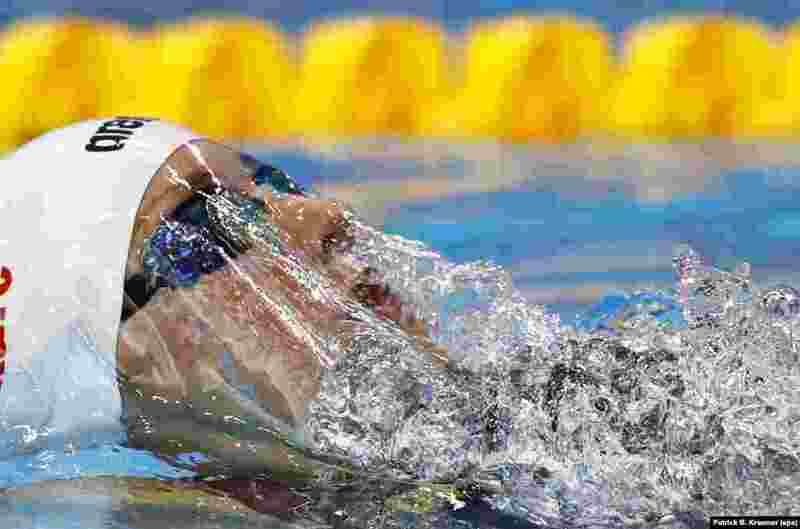 1 Katinka Hosszu of Hungary competes in one of the women's 200m Backstroke heats at the LEN European Aquatics Championships 2016 in London, Britain. 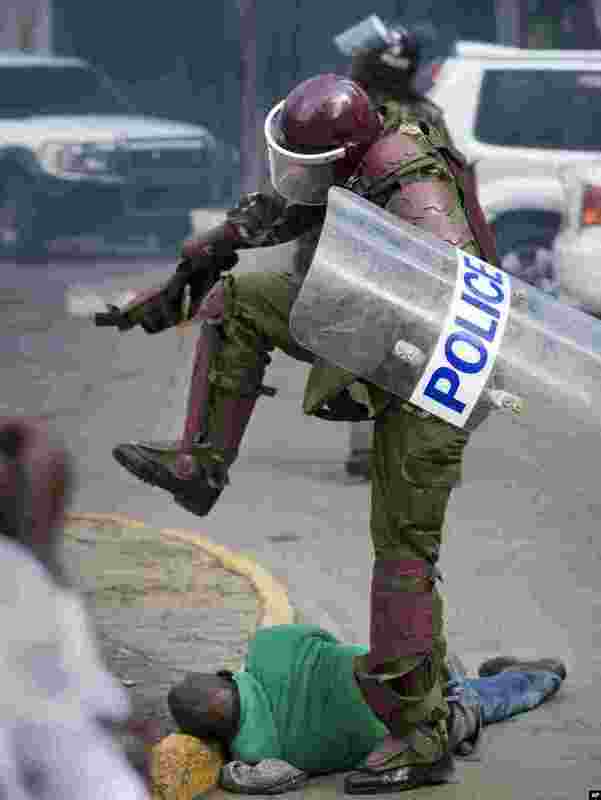 2 A Kenyan riot policeman repeatedly kicks a protester who tripped during a protest in downtown Nairobi. Police tear-gassed and beat opposition supporters during a demonstration to demand the disbandment of the electoral authority over alleged bias and corruption. 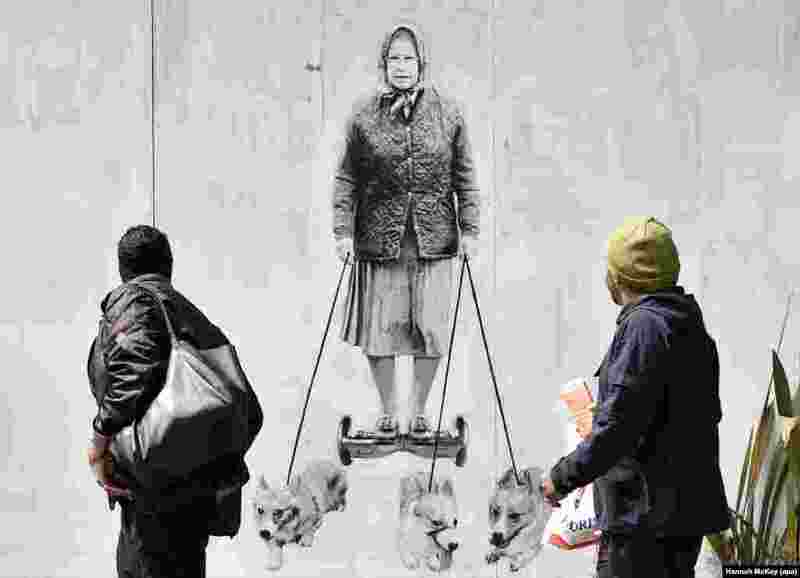 3 Pedestrians look at a new mural depicting Britain's Queen Elizabeth II that is spray-painted onto the external wall of a house in south-east London. 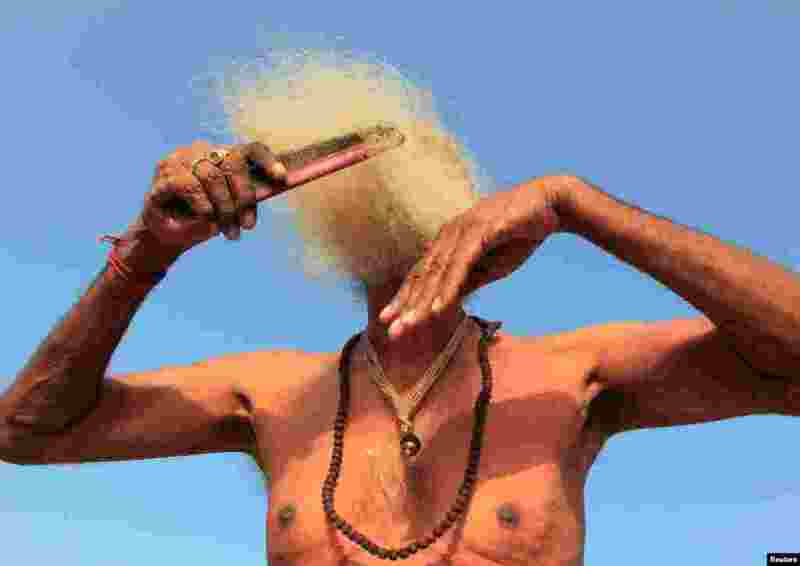 4 A Sadhu or Hindu holy man combs his beard after taking a dip in the waters of Shipra River during Simhastha Kumbh Mela in Ujjain, India.